Due to the refined nature of natural ingredients it is common for there to be slight shade, scent or texture variances from batch to batch. Also weather extremes of hot or cold can make texture thinner or thicker. This in no way compromises the integrity of the products due to preservation system we use. We also provide PAO (period after opening) on every skincare item so you know how long your products will sustain their effectiveness and freshness once you crack the lid of your jar or bottle. This botanical is a natural humectant known for its age defying properties. It draws moisture to the skin and can be considered a natural,alpha hydroxy,assisting with exfoliation of dead skin cells. This botanical is full of antioxidants, vitamins A, C, E and assists with absorption of other ingredients. It has over 20 amino acids essential for good health and helps soothe irritated skin. This allows other essential ingredients to penetrate the skin for nourishing tired, aged or stressed skin and is gentle to delicate skin. Wonderful for softening fine lines around the eye area and offers antioxidant properties. This botanical is an amazing emollient used for centuries for softening tired skin and soothing sores, blemishes and other skin inflammations. This botanical is steamed distilled and is a wonderful for soothing inflammations of the skin. It is also wonderful for those with oily or acne prone skin. Very cooling to tired skin, especially around the under eye area. This nutrient intact algae is a wild harvest single cell microscopic organism and is highly bio-available containing a full spectrum of minerals, chlorophyll, B vitamins, beta carotene pro vitamin A, lipids, active enzymes, essential amino acids, nucleic acids, DHA and essential fatty acids. This is an antioxidant to fight free radical damage and to improve the appearance of skin. When used with other antioxidants it creates a synergistic blend of age defying emulsions. This is a fat soluble vitamin C and far more stable than the water soluble version of ascorbic acid. Due to it's stability it maintains it potency, making it perfect for skincare emulsions. This botanical is known for its skin soothing and softening capabilities. Helps alleviate dry skin and itching associated with it. This botanical has perfect moisturizing capabilities and helps the skin in restoring elasticity and works well for all skin types. It is also used as a natural preservative due to its antiseptic, anti-bacterial, anti-fungal, anti-viral, and anti-parasitic properties. Great antioxidant found in plants and is how Carrots achieve their orange shade. Fights free radical damage associated with our exposure to daily environmental pollutants. 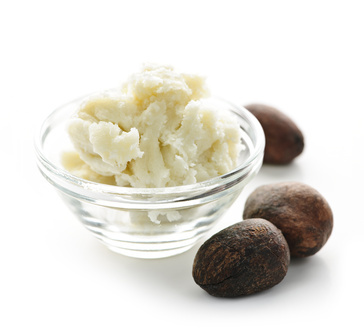 This botanical is loaded with fatty acids essential to providing rich moisture on the skin increasing elasticity. It helps to protect the skin from environmental and free radical damage. It contains vitamins A and E and it's the moisture intensity of this ingredient which can improve the appearance of scars and dry ashy skin. This botanical is the richest in antioxidants than any other tea leaves and neutralizes free radicals preventing degradation of skin cells. 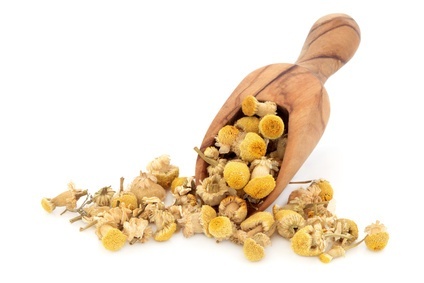 It has the antioxidant properties 20 times that of vitamin E, 6 times more than black tea. 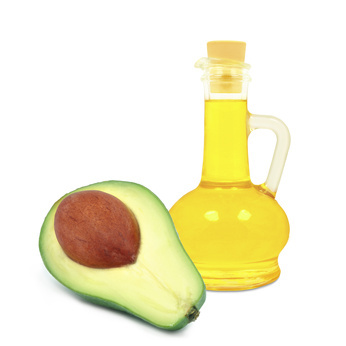 This botanical oil contains high levels of omega-3 fatty linolenic acids and omega-6 gamma linoleic acids. It is a wonderful for dry, mature skin. And don't worry this is a perfectly legal intensive oil. Powerful antioxidant for fighting free radicals and can offer skin renewal as a fruit acid improving dull looking skin. This fruit acid acts as a natural alpha hydroxy assisting with exfoliation of the skin. 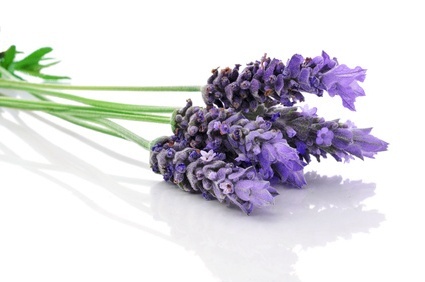 This botanical is a wonderful essential oil used in aromatherapy for being a mood elevator. Also has some skin toning benefits and a subtle sweet citrus aroma. It is an amphoteric cleansing agent and is a derivative of cocamide and glycine betaine. 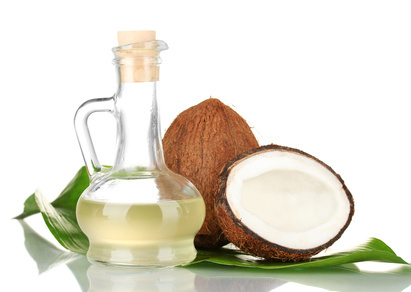 Cocamide is derived from coconut oil produced through a synthesis process. Glycine betaine is derived from sugar and is a byproduct of the sugar industry. Extremely gentle to skin and has shown it will not irritate mucous membranes or skin. This possesses lauric acid, capric acid and caprylic acid and is known for its soothing properties. Through its' intense moisturizing capabilities, It helps delay wrinkles and sagging skin which become more prominent as we age. So gentle, it can be used on all skin, including those with acne, rosacea, and psoriasis, and it will not clog pores. All human cells possess traces of this enzyme which help generate cellular energy and is found in the highest levels in soybean oil, along with many other plants and fish. It requires a fermentation process to extract it from the natural resource, although it can be created synthetically in a lab setting. It acts as an antioxidant and prevents chain reaction oxidation of molecules. After the age of 30 the body's production of CoQ10 declines and elastin and collagen diminish in the body. When supplementing this topically, it protects the skin from oxidation caused by free radicals. Fine lines and wrinkles appeared improved with the cumulative effects of this ingredient. Combined with DMAE, vitamin C and alpha lipoic acid, it can penetrate deep within membrane cells, whereby reducing the appearance of wrinkles and experience a visible firmness and vitality to the skin. This botanical offers extraordinary skin protection and skin conditioning benefits provided by the extract of high levels of soluble carotenoids. This botanical extract is easily assimilated into skin cells and protects against ongoing attacks of free radicals. Another powerful antioxidant and is essential to the body for overall health. Used topically it helps to fight free radical damage. This is produced naturally in our bodies and gradually declines as we mature. It can be supplemented through diet. It is found naturally in high levels in fish, such as salmon and anchovies. PubMed has documented it's benefits in clinical research and has shown it to be a well tolerated skin firming agent, whereby it can help reduce the appearance of wrinkles and fine lines. Through cumulative use it is also great for firming sagging neck skin, improving skin tone overall, and is safe to use around delicate eye area. This is an antioxidant that helps to increase the cells metabolism by being a catalyst for the uptake of other essential skin nourishing ingredients. Fights free radicals and oxidative stress to cell membranes which is a leading cause of aging. It is a vegetable wax and is used to emulsify oils and butters together with the distillate waters or Aloe. It prevents separation of the ingredients similar to if you were to just mix oil and water together. The initials NF that follow the word means it conforms to the specifications of the National Formulary. This botanical is high in tannins giving it wonderful astringent properties whereby helping to tone the skin. Also it is rich in flavanoids. This botanical is a natural source of vitamin C and has been shown to have astringent properties. It has been used for centuries in Chinese medicine. 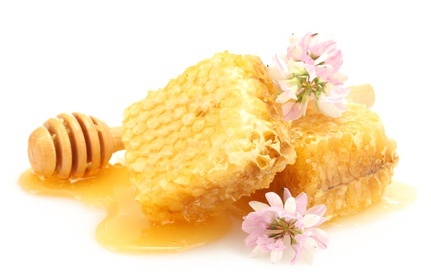 Honey is the sweet material taken from the nectar of flowers and manufactured by bees. Used since Egyptian times for medicinal and cosmetic purposes. It is full of vitamins, minerals, amino acids and enzymes. Has an emollient property, is soothing and is a natural humectant. This helps to smooth roughness and soothe irritations of the skin. It has natural cleansing properties and since bacteria are unable to live in honey, it demonstrates its' natural preservative capabilities. This perfect emollient leaves a micro thin protective film on the skin. This is rich in proteins and amino acids and deposits a protective layer on skin and is smoothing and moisturizing. Derived from fixed oils like Palm Oil, and is a natural humectant drawing moisture from the air to the skin. It also relieves dryness and is very emollient leaving skin soft and smooth and will not cause irritation. This botanical is a natural humectant, helps to balance the pH of the skin and it is perfect for those with acne due to its' soothing properties. This is the hydrosol, is steamed distilled and not the essential oil. This botanical is obtained through distillation process from the spikes of lavender. Can be used by all skin types. This is an emollient, is Soy derived and is a skin softening agent. The phospholipids naturally occurring attract water from the air to help to re-hydrate skin making this an excellent humectant. It also helps to catalyze other ingredients helping them penetrate deep within the cell membranes. This botanical is cold expeller processed from the Meadowfoam seed and is loaded with fatty acids and is excellent for moisturizing the skin and prevents further moisture loss. It also assists other emollients to penetrate the skin faster and more thoroughly. A wonderful botanical oil perfect for all skin types since it protects skin, and can be used as a natural preservative due to its antifungal, antiseptic, antiviral, anti-parasitic, and antibiotic properties. It also has stimulating effects of circulation and is quite cooling to the skin. Helps in supporting skin cells during the regenerative process. This botanical is derived from the Mango Kernels and is excellent for dry skin, rashes, acne, rosacea, eczema, dermatitis and fights off fine lines and wrinkles. Softens skin with a protective effect against environmental damage. Loaded with essential fatty acids important for skin health and creating a barrier on the skin to protect it from the pollutants in our air. It is a polysaccharide and is known for its binding, moisturizing and antioxidant properties. This ingredient has age defying benefits and is not subject to oxidation and provides stability for other antioxidants in a skincare emulsion. It helps to even skin tone and give a refreshed look to the complexion. Niacinimide helps with increased skin barrier function to diminish skin irritant reactions. Palm derived and is used to thicken and stabilize lotions and creams. This Botanical is wonderful and an extremely deep penetrating oil rich in A, D and E and potassium. It is high in Sterolins, soothing skin irritations and itching associated with it. This infuses intensive moisture to the skin, yet is perfect for every skin type, especially for softening mature skin. Offers a universal highly effective broad spectrum protection for gram-positive and gram-negative bacteria, mold, yeast and fungi. It also is not a formaldehyde releasing agent. Probably most popular paraben free and propylene glycol free preservative on the market. Supports a natural preservative system for longevity of up to 4 months for a jar and 12 months for an airless bottle after the cream or lotion is opened. It also provides a shelf life of 2 years for an unopened product. It is recognized as a very safe preservative by the European Union and Japan, not excluding our FDA in a percentage of 1% or less. This is an emulsifier and it allows oils to blend with distillates (waters) without the use of alcohol. It is derived from lauric acid which is a derivative of coconut oil and is not a skin irritant. This expeller pressed botanical oil is rich in antioxidants vitamin A, B1, B2, B6 and E giving skin resilience against the aging effects caused by our environment. Excellent for itchy, dry skin and for soothing sunburn, eczema, psoriasis and dermatitis. This is a powerful antioxidant which exhibits properties protecting skin from free radicals, helps to improve the appearance of fine lines and wrinkles with a cumulative effect. This botanical is known for its astringent properties and is excellent as a skin conditioning agent providing soothing care to all skin types against drying effects of our environment. This is extracted from ripened fruit of a hybrid, thorny, wild rosebush native to South American countries. It is a rich source of omega-3 and omega-6 fatty acids, is high in gamma linoliec acid (GLA) and vitamin C. It is an emollient that helps to strengthen the skin and improve the visible signs aging by softening the appearance of wrinkles and fine lines. This botanical is a natural antioxidant and is an extract from rosemary oil. It offers benefits due to antioxidant characteristics and fights free radical damage. It is also used as a natural preservative due to its' natural antibacterial and antifungal properties. This botanical is a natural humectant. It draws moisture to the skin and is a natural alpha hydroxy assisting with exfoliation of the skin. An antioxidant that reduces free radical oxidation which occurs as a result of ultra violet rays exposure. It protects the integrity of the skin at a cellular level to aid in the fight against changes in the skin that cause the early signs of aging. This botanical can be used as a natural preservative due to its' antiseptic and antimicrobial properties. Benefits include cell renewal capabilities since it has natural salicylic acid properties, helping skin remain exfoliated. Our Jojoba Oil is Organically Grown Cold Pressed / Unrefined. 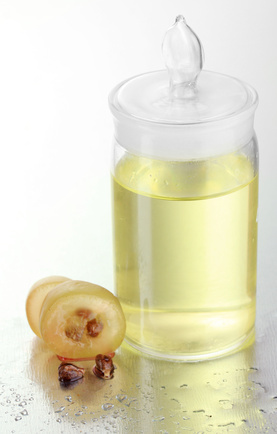 Due to its characteristics, it has an indefinite shelf life since it is actually a wax ester and not a vegetable oil, so it will not turn rancid. Our oil is 100% pure and is the only oil found to have the closest affinity with the skin. It is soothing to those with acne, rosacea and sebborheic dermatitis. Women with any skin type can use Jojoba, including those with oily skin. Jojoba is excellent for dissolving pore clogging sebum and for restoring your skins' natural pH balance. Jojoba oil is a powerful antioxidant and is rich in Vitamin E, Vitamin C and contains minerals of Chromium, Copper, and Zinc. It mimics our own sebum, and will act as a replacement for the loss of natural oils and collagen as our skin matures, making it excellent for fighting wrinkles. It aids in smoothing surface roughness, flakiness and fine lines. It further aids in reinforcing your skins outer layer, (the Epidermis) and when mixed with the skins natural oils aids in reducing further moisture loss, keeping skin soft and supple. Although it creates a skin barrier it will leave an oil free, velvety feel to the skin. It is a cleansing agent derived from coconuts combined with sugars and the salt or esters of citric acid. Citric acid is derived from the fermentations of sugars from citrus fruits. Dissolves dirt and grime from the skin. It is a cleansing agent derived from coconuts combined with sugar and alcohol. Tartrate is a byproduct of the wine industry typically, through the fermentation process of creating the alcohol in the process. Dissolves dirt and grime from the skin. This version is vegan friendly and is derived from the fermentation of yeast. It is a natural compound found in human tissue and we lose the ability to reproduce it as we age. It penetrates deeply into the surface of the skin, boosting the hydration and elasticity of the skin. It also protects the skin from free radical damage which creates sun spots though oxygenation of membrane cells. It retains high levels of water against skin and adjusts to humidity in the air helping skin to look and feel plumper all day. Our Hyaluronic Acid is paraben free! This botanical contains natural saponins and is wonderful for helping cool and soothe skin from resulting effects caused by our exposure to our environment such as rashes, irritations, sores or abscesses. This is a multi-purpose, clear, liquid chelating agent and preservative booster. The major advantage is its excellent properties regarding human toxicity and environmental impact. Based on Monosodium L-glutamate, a natural and renewable raw material produced by biochemical conversion of vegetable material, this ingredient is readily biodegradable, with high solubility over a wide pH range. It also demonstrates enhanced preservative boosting power, and it is not toxic to cells or genetic material. Because it is produced from vegetable matter, it is easily biodegradable and easily consumed by micro-organisms. This botanical is extracted through Hydraulic Press and is Hexane free. It is full of essential fatty acids. It is readily absorbed into the skin and is a rich emollient for smoothing surface roughness associated with psoriasis and dermatitis. It protects sensitive skin from the harmful environmental pollutants and retains moisture against the skin. A wonderful emollient and will not plug pores. Used to prevent free radical damage to the skin. It is a powerful antioxidant and helps slow cellular aging due to oxidation. Our vitamin E is sourced from Soy. Extracted from the bark of the North American Elm. It is an astringent with emollient properties and works well on skin eruptions such as acne. This botanical is known to have astringent benefits and can help improve microcirculation helping to tone the area around the under eye. Rich in minerals and plant hormones. This botanical has antioxidant properties with a high level of tannins. Excellent for fighting free radicals and soothing inflammation associated with dry skin. This botanical is an antioxidant and protects skin from free radical damage and is rich in flavanoids. This botanical in higher concentrations it is known for its’ ability to aid stressed or damaged tissues. It is especially useful around the delicate eye area where cell membranes are much thinner and gives support to retain their normal cell structure. Used as a thickener and stabilizer to keep oils and butters from separating from the liquid component in skin creams and lotions. It is derived by fermentation of lactose, glucose or sucrose and is sourced from rice or soy starches, not wheat or corn. Allergy concern to Xanthan Gum - it is made by fermentation, and is no longer composed of the source nutrients, these are metabolized during fermentation process, removing the concern for the allergen.